Belts continue to be one of the most replaced wear items on vehicles today. Serpentine belts last a lot longer than older V-belts ever did, but they still wear out over time. The typical replacement interval for serpentine belts and flat belts today is around 90,000 miles – which for many vehicles means only once every seven to nine years! That’s a lot of miles between belt changes. 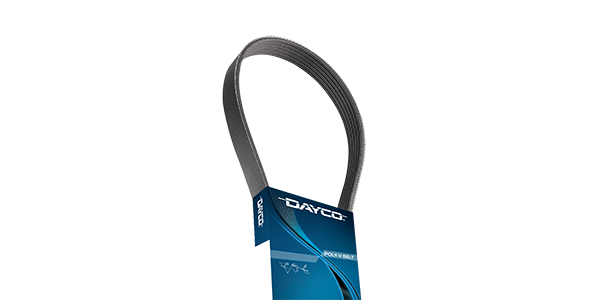 Today’s hoses are even longer-lived thanks to much improved synthetic rubbers such as EPDM. Even so, older high-mileage hoses should be closely examined and replaced when the cooling system is serviced. Recommend new hoses (and clamps) if a customer is changing a water pump, radiator or heater core. Serpentine belts can be tricky to replace because of the way in which they are routed and because of limited access in a tight engine compartment. Although most late-model belt drive systems use a single belt, some applications also may have a separate belt for an accessory such as the A/C compressor or power steering pump. What’s more, some applications may use a secondary “stretch fit” belt that has no traditional adjustment. Installing one of these requires a special tool to slip the belt over the pulleys without damaging the belt. Many belt drive systems also incorporate decoupling pulleys to dampen noise and vibration. Even so, belt noise is still a common complaint and reason for replacement. When the V-ribs on the underside of a serpentine belt become worn, the belt may slip and make noise. It’s hard to see this type of wear, so a belt wear gauge tool should be used to measure the depth of the grooves in the belt. If the belt is worn, it’s time for a new belt. Belt noise also can be caused by misalignment between pulleys. These include a misaligned power steering pump pulley, idler pulley(s), automatic belt tensioner pulley, water pump pulley (which may be due to wear in the pump shaft bearings), and even a worn or loose harmonic balancer. This type of misalignment can be difficult to see, so pulley alignment should be carefully checked with a straight edge or a laser alignment tool. By the time a worn belt needs to be replaced, chances are other components in the belt drive system also may need attention. No. 1 among these is the automatic belt tensioner. Over time, the spring that maintains belt tension can weaken. Rust, corrosion and wear also can cause binding that prevents the tensioner from rotating normally to maintain proper belt tension. Belt flutter or belt noise when revving the engine are indications of a weak tensioner. Bearing wear in idler pulleys also can create noise and misalignment. The bearings are sealed and cannot be relubricated, so if an idler pulley is noisy or wobbling it needs to be replaced. Changing a serpentine belt usually requires a long handle breaker bar or special tool to rotate the belt tensioner so the belt can be slipped off the pulleys. If there is no belt routing decal under the hood (which many cars lack), your customer should snap a photo of the belt before it is removed with a phone camera, or make a simple drawing of how it is routed. It’s easy to misroute a serpentine belt if you can’t remember how it was positioned before it was removed. A sure sign of misrouting is if the belt seems to be too long or too short for the application, or if it won’t slip over the last pulley, or it is loose after it has been installed. Installation problems can be avoided by comparing the length of the old and new belts to make sure they are exactly the same length and width. Finally, recommend a top quality name brand replacement belt. No-name cheap quality belts won’t last like a quality belt.